Research in Motion confirmed through their recent blog post that the Blackberry Playbook OS 2.0 Update will not be available until February next year. 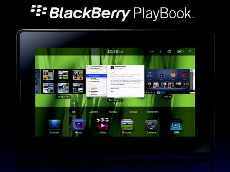 RIM is facing serious challenges regarding the native apps such as email, Blackberry Messenger, and more as they work on the Blackberry Playbook. 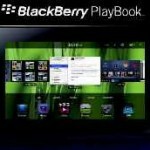 News has it that RIM’s Blackberry Playbook will be delayed in shipping; in addition to that, the Playbook will be available without the Blackberry Messenger. RIM also relayed some issues regarding the Blackberry Messenger integration considering that the BBM will not be available in native apps bundle. Hopefully issues will be resolved, and RIM is committed in solving the problem. According to the RIM, they are committed to developing a perfect BBM solution that will fully deliver the powerful, push based messaging capabilities for the comfort and preferences recognized by their avid users around the world, and right now they are still working on it. RIM also confirmed that the Blackberry Messenger is still available by connecting an existing Blackberry smartphone with data plan over the Bluetooth to the Blackberry Playbook partnered with Blackberry Bridge.